WVU President Gordon Gee speaks at the reception for the Distinguished West Virginians Archive held at the Wise Library. 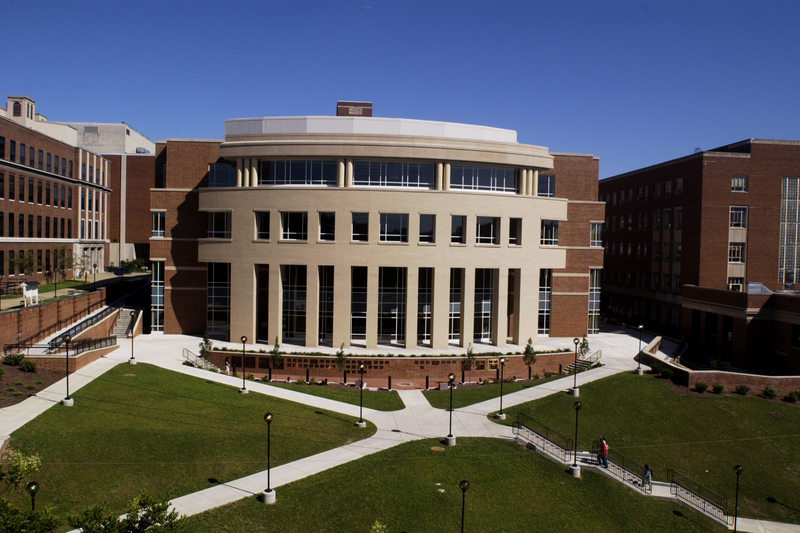 Gee has charged WVU Libraries and its West Virginia and Regional History Center with gathering and preserving the papers of West Virginians who have climbed to the highest levels in their professional arenas. The collections of the Distinguished West Virginians will be secured in the WVRHC and made available to researchers, historians, filmmakers and all who are interested in the materials. “Preserving the stories of individuals who have been national leaders in their respective fields inspires people. Those who give their papers do it as a gift to the next generation,” Gee said. Curtis “Hank” Barnette, chairman emeritus of Bethlehem Steel, bought into the concept when encouraged by Gee and WVRHC Director John Cuthbert to donate his papers and has helped lead the charge for recruiting other distinguished West Virginians to participate in the initiative. “Over the years, I’ve been very fortunate to have responsibilities in the public and private sectors,” Barnette said. During that time, he created and received a large number of documents and letters, gave innumerable speeches and interviews, and testified before Congress. He likes the idea that his views about corporate governance, international trade and leadership could assist students, faculty, researchers and decision makers. And he encourages others to follow his example. “There are so many West Virginians who have done so much more than I have and have more extraordinary reputations than I have, so it seemed important to get a program started,” Barnette said. Joining him in the inaugural group of contributors are Elizabeth “Betty” Chilton, former publisher of The Charleston Gazette and the Charleston Daily Mail; Glen H. Hiner Jr., former chairman, Owens Corning; Rush Holt Jr., a former congressman and current chief executive officer of the American Association for the Advancement of Science and son of the late West Virginia Sen. Rush Holt; Ray Lane, former president and chief operating officer of Oracle; Admiral Thomas Joseph Lopez, retired United States Navy four-star admiral and NATO commander; J. Davitt McAteer, former head of the federal Mine Safety and Health Administration; former WVU President David C. Hardesty Jr.; West Virginia Poet Laureate Marc Harshman; and former WVU head football coach Don Nehlen, the winningest coach in WVU football history. Moving forward, an advisory board will recommend prospective candidates for Gee’s selection. Barnette adds that Gee will also have an active role in the process. “President Gee has promised to be our cheerleader,” Barnette said. “Hank, you had the vision to see the possibilities of this project and I really appreciate what you have done to make this happen. It’s going to grow,” Gee said. WVRHC staff will arrange and catalog the papers and preserve them in acid-free archival containers and store them in the Libraries’ temperature- and humidity-controlled depository. Collections will be made available in the Center’s Stealey Manuscript Reading Room. The Distinguished West Virginians Archives will complement the more than 5,000 archival collections already preserved by the WVRHC, which includes many notable West Virginians. As the state’s leading historical research library, the WVRHC is the caretaker of materials documenting the people and events from before the birth of the United States through today. On the subject of politics, one can study the lives and accomplishments of founding fathers Sen. Waitman T. Willey and Gov. Francis H. Pierpont and more current leaders such as Gov. Arch Moore, Sen. John “Jay” Rockefeller IV and Congressman Nick Rahall. A glimpse of state natives’ contribution to literature is recorded in the manuscripts of Nobel Prize-winning author Pearl S. Buck and state poet laureates Louise NcNeill and Irene McKinney. The papers of industrialist and U.S. senator Henry Gassaway Davis and journalist/artist David Hunter Strother, who reported on the trial of abolitionist John Brown, provide a deeper understanding of nineteenth-century America. Illustrating parts of the 20th and 21st centuries are basketball legend Jerry West and “Star Trek Deep Space Nine” composer Jay Chattaway. “The Distinguished West Virginians Archives will honor and preserve for posterity the legacy of West Virginians who have made the world a better place and brought distinction to the Mountain State,” Cuthbert said.